Canada Revenue Agency (CRA) has posted some warnings on scams whereby thousands of unsuspecting Canadians have fallen prey to and lost millions of dollars to scammers. 4) CRA never uses text messages or instant messaging such as Facebook Messenger or WhatsApp to communicate with taxpayers under any circumstance. If a taxpayer receives text or instant messages claiming to be from the CRA, they are scams! 5) Other useful information on scammers posing as CRA employees. Check out this CRA’s website link – click here. Here’s another update of my previous posts on TFSA (Tax Free Savings Account) accumulation. Since 2009, one can contribute to a TFSA and any investment income earned is tax free. I’ve dropped the assumed annual return from 4% to a conservative 3% due to recent decline and uncertainty in the markets. Even with this reduced drop over the plan’s life-to-date, and assuming the maximum is contributed each year at the beginning of each year, one can still expect to have over $75,000 by the end of 2019! The magic of compounding and accumulation. Chartered Professional Accountants of BC (CPABC) is committed to providing resources to assist individuals and businesses prepare their income tax returns, invest in RRSPs, and plan their finances. 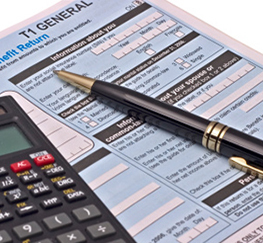 As a service to the public, here’s the link to its latest RRSP and other useful tax tips.